“There’s nothing for us to say about it right now other than that we are in conversations with Oconee County about an environmental and heritage center,” trustee Ray B. Burruss Jr., an Athens attorney, said last week. 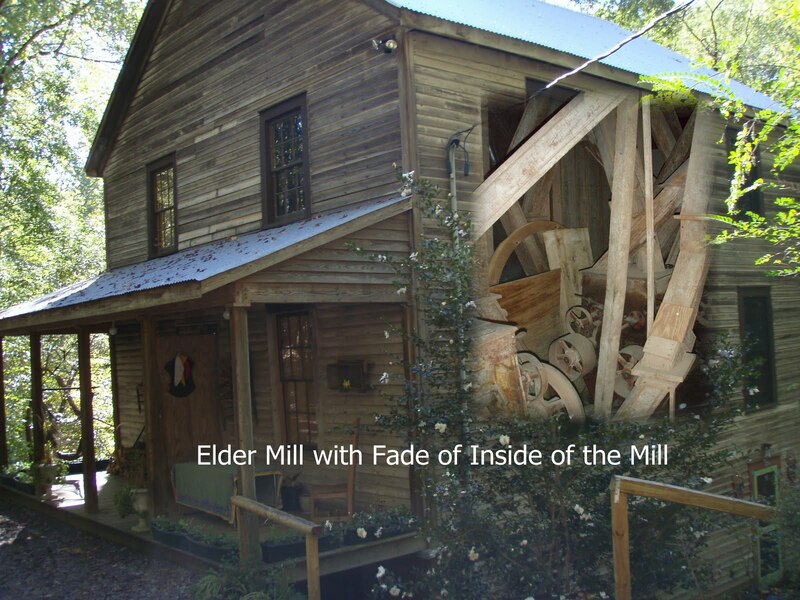 Burruss did say that Elder Mill itself, which is not owned by the Dolvin Foundation, is an “integral” part of the planning and the county will need to acquire the mill and the 6-acre property on which it sits for the plan to be realized. Oconee County Parks and Recreation Director John Gentry told me last week that Oconee County Board of Commissioners Chairman Melvin Davis had been approached by representatives of the Dolvin Foundation in the spring of this year. Davis referred the trustees to Gentry, and Gentry said he presented a number of options, including development of a heritage and environmental center similar to the one in Gwinnett County. The center is west of the Mall of Georgia between I-85 and I-985. The Center has exhibits, including a mill, trails, education programs, a daycare program, and facility rentals. In addition to other properties around the county, the Dolvin Foundation owns nearly 320 acres on both sides of Elder Mill Road stretching from SR 15 to beyond the Elder Mill Bridge. Burruss said current plans assume only a part of that property would be incorporated into the environmental and heritage center. At least four other properties, including the one on which the mill sits, are owned by other parties. The mill property is owned by Ann Morgan of Athens. The mill is extremely well preserved, sitting just down Little Rose Creek from the bridge named after it. The bridge was built in 1897 and carried the Watkinsville-Athens road (now north Main Street) across Calls Creek. The bridge was moved to its present location in 1924. Gentry and others in the county have long had an interest in incorporating the land around the bridge and mill into a park. Williams and Associates, a local land planning firm, drew a conceptual plan for what was called Elder Mill Park in 2007. That plan incorporated all of the Dolvin property, the mill, and other properties in the area surrounding the mill and bridge. Nothing has been done since that time to realize the plans. Dolvin passed away in May of 2012. Her husband, James Dolvin, had died in 1980. Burruss said Dolvin left her assets to the foundation on her death. The first 990 IRS Tax form for a private foundation I was able to find for the Dolvin Foundation was for 2010. Burruss and John H. Murphy Jr. of Canton are foundation trustees. Burruss said he had met both with Davis and with incoming BOC Chair John Daniell. Daniell confirmed to me that he has been involved in the discussions. Burruss said he wants to explore corporate as well as government funding for the project. Why on earth would anyone want to take such beautiful land and turn it into monstrosity that Gwinnett did with that park. Green space should be just that, green. The goal is to make Oconee just like Gwinnett. The Oconee that I grew up in is gone forever. It's on a fast track downhill in my opinion. Only the idea of a "history and environmental education facility" comes from Gwinnett. Not the behemoth they constructed. A much different approach. The intent of the trust is to maintain the natural state of the current land as much as possible and blend any new structures with the environment and historical structures (keeping a rustic appeal). All conceptual at this point. 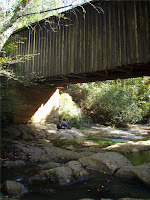 It will be a way for citizens to enjoy the land more in its natural state to include trails, fishing, working mill, etc. This is a terrible idea. The neighbors oppose this "development". Rose creek shouldn't be turned into any kind of tourist attraction that requires additional resources to support plans that are morphing into an amusement park. "At least four other properties, including the one on which the mill sits, are owned by other parties." Eminent domain anyone?